April Fool's Day is a time to celebrate all things jocular, and the auto industry is no different. The holiday famous for playfully pitting friends against each other for the sake of lighthearted fun also has a long tradition of being enjoyed by some of your favorite car companies, often to our good-natured chagrin. Take a look at some of the more notable examples from throughout the years – it will give you something to do while you're replacing your roommate's seasons of "Breaking Bad" with "Toddlers & Tiaras" DVDs. In 2010, Infinity tickled the collective automotive world when they announced some strange new features to be included in their upcoming models, including Gastronomi, an in-car system that monitors how hungry drivers get. Also in 2010 (apparently a banner year for auto-related hijinks), MINI published a press release introducing MINIMagic, a new type of paint that would let owners change the color of their MINI at will, as simply and quickly as applying a new coat of wax. BMW has a long and storied history with the holiday as well. The German auto manufacturer has traditionally pulled out all the stops each year as far back as 1983. The online Museum of Hoaxes chronicled the company's escapades, which include such highlights as announcing an in-dashboard tire pressure control system, and a system that claimed to take over driving for you if you fell asleep at the wheel ("lose consciousness, not control"). Admittedly, some of those pranks sound like pretty sweet features. 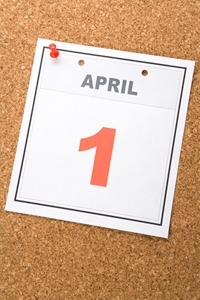 If you're looking to join the auto industry's April Fool's celebration by shopping for a used car, head to NJ State Auto Auction. There are hundreds of Carfax-certified cars, trucks and vans on the lot, as well as an in-house financing department to help you qualify for a loan for your choice used car – all without the unwanted surprises found April 1. Few things can dampen the excitement of buying a new car more than getting short shrift on your old car's trade-in value. The used car market can be volatile, with trade values rising and falling more than the ratings on the newest season of “The Bachelor,” but that doesn't mean you're completely at the mercy of mysteriously fluctuating market factors. Fortunately, there are a few things you can do before putting on your game face and heading down to the dealership. It's important to research your car's current trade-in value. That way, you'll have a better idea of what you can expect when it comes time to do business at the lot. AutoTrader.com recommends the Used Car Information Center at NADAguides.com, which will give you specific information on your car's current value based on factors like make and model, year and mileage information. Checking classifieds in the newspaper or online is also a good way to get a feel for what your car might be worth. Keep in mind that these prices are bound to include things like dealer mark-up, so be careful about considering these values too closely – the trade-in value you're offered is almost guaranteed to be lower than what you see others trying to sell your car for. You wouldn't want to buy a dirty car, so why would you try and sell one? According to CarQuotes.com, a major factor in determining your car's trade-in value is the dealer's perception of the condition of your car. So not only will giving your car a thorough presale cleaning make it more attractive to buyers, you're also potentially increasing the amount of money you may be offered for it. Not a bad deal for the cost of just a little elbow grease. It should go without saying that if your car doesn't run, nobody's going to want to buy it. Trade-in time is the last chance to head into the shop for those repairs you've been putting off. Yeah, you'll be spending some money, but it's money you'll hopefully be making back by increasing your car's value. AutoTrader.com warns that you shouldn't be too careful here. If you spend more on repairs than would be added to your car's value, that's money you're not going to be seeing again. And most dealers expect used cars to have a couple minor peccadilloes anyway. When the time comes for you to trade in your old wheels, make sure you head to NJ State Auto Auction. With hundreds of Carfax-certified cars on the lot, you're bound to find the car that's right for you. With spring and summer just around the corner, road trip fever is in the air. While it may be tempting to load up your trunk, hop in your car and head cross-country at the first sign of the spring sun, taking time to do some planning beforehand is essential. After all, on any trip, your car will become your home away from home while you're on the road. When looking for a potential road-tripmobile, it's important to look with an eye toward not just reliability, but convenience as well. Below are a couple of things to keep in mind when shopping for the perfect car for your trip. This may sound like a no-brainer, but long-distance driving means more stops at the gas station. Unfortunately, drivers know that the pumps can be punishing to pocketbooks. With AAA having reported that average gas prices have risen 42 out of the last 45 days, 2014 doesn't look like the year that's going to turn around. What's more, gas prices tend to increase in the warmer months as demand goes up. That said, choosing a fuel-efficient car will go a long way in saving you cash at the pump. Models like the 2004–2009 Toyota Prius report an impressive 47 mpg, and the 2003–2005 Honda Civic Hybrid reports 41 mpg according to MSN. While you may not be able to avoid high gas prices, a fuel-efficient car can let you get by with fewer trips to the pump. While on the road, you'll want to make sure that the car you're spending all day in is comfortable and safe. Crossovers and SUVs are popular choices due to their size and cargo capacity. Many, like the 2009–2011 Ford Escape are available as hybrids so you don't have to make the choice between riding in comfort and stopping too often for gas. Safety is a plus here too; the 2011 Chevrolet Traverse was named a Top Safety Pick by the Insurance Institute for Highway Safety, reported AutoTrader.com. You'll want to keep cleanliness in mind, as your car will likely see its fair share of food and drinks on your trip. AutoTrader.com lauds the 2005–2011 Honda Element for its stain-resistant seats and urethane coated floors, meaning you can down those iced coffees fearlessly. Wherever you're headed this season, make your first stop NJ State Auto Auction. 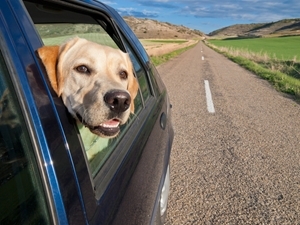 There are hundreds are Carfax-certified cars on the lot waiting for the chance to hit the highway on your summer adventures. A perfect storm of events has come together early this year to make 2014 one of the best times in recent years for those looking to find used cars. Between cold weather keeping people indoors and out of dealerships, a drop in the number of young millennial buyers and an overall drop in the cost of used cars, potential buyers are now facing some spectacular buying conditions. After a lengthy stretch from 2007–2013 which saw used car prices rise a wallet-busting 18 percent, AutoNews reported that things are finally expected to get cheaper for buyers. So why the sudden shift in prices? One major factor is that millennials are buying fewer cars than they were last year, down a full percentage point from last year, Edmunds reported. Add to that the fact that this year's particularly nasty winter had a hand in discouraging people from venturing outside of their homes and into dealerships, and you get a definite lull in car buying. This is great news for those in the market for a used car. Fewer people buying means more cars on the lot, which and prices are expected to drop, according to Edmunds. "The boom in new car leases, for example, is leading to a higher number of lease returns, which adds to the growing inventory of used cars, forcing their prices down," said Philip Reed, a senior consumer advice editor for Edmunds.com. In addition to lower prices, Reed predicted buyers can also expect a greater selection of used cars available. If you're looking to buy, head to NJ State Auto Auction. There are hundreds of used cars on the lot, and an in-house finance department ready to help put you into a high-quality used car. The safety features included on a vehicle is one of the most important factors people consider when shopping around for a used car. While most drivers will be evaluating all different aspects of a vehicle, including everything from the fuel economy to placement of cup holders, the elements made with safety in mind are often among the most appealing. Recently, the Insurance Institute of Highway Safety conducted a study to determine how effective some of these attributes are. The institute found that rear cameras, which provide drivers with a view of what's behind them, are a safer option than parking sensors. According to the research, the cameras were helpful for preventing backover crashes and were more useful than just sensors or a combination of cameras and sensors. Accidents involving cars in reverse can be especially damaging, as they often include small children who are not visible through windows. Dealing with the blind spots can be challenging, but with the help of tools like rear cameras, the safety of drivers, passengers and bystanders is prioritized. "Right now cameras appear to be the most promising technology for addressing this particularly tragic type of crash, which frequently claims the lives of young children in the driveways of their own homes," said David Zuby, the chief research officer for the IIHS. Rearview cameras are just one of the many features you may want to consider on your next vehicle. Used cars for sale may have some of these amenities, in addition to a wide array of similar tools that are typically employed for superior safety. At New Jersey State Auto Auction, you can browse through a selection of hundreds of Carfax-certified cars, trucks and vans, many of which will have the top-notch qualities that you're looking for. Do you dream of owning a car but fear that it's just not possible? Do you worry you'll either spend a fortune or end up with a lemon, clunker or jalopy? Dipping your toe into the tumultuous waters of car shopping can be overwhelming. Fortunately, with the right knowledge and a little foresight, you'll find that taking the plunge into the world of car ownership is easier than you thought. The important thing to keep in mind when trying to find used cars is that not all cars are created equal. Certain makes and models are known for being both cost-effective and reliable. Honda is a name you'll hear frequently in reliability discussions, as USA Today reported the 2011 Fit, CR-V and Element models all making the cut as some of the most reliable three-year-old cars according to J.D. Power. Toyota's industry-famous reliability also makes for a good choice; its 2004–2007 model Prius was reported by Consumer Reports to be one of the best small cars under $10,000. 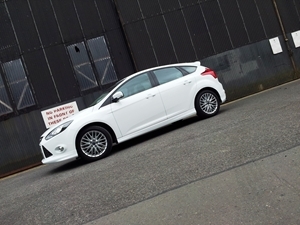 Its fuel efficiency (44 mpg) also makes it a compelling money-saving choice. Once you've chosen the right car, basic preventative maintenance can go a long way in extending the life of your car. Edmunds outlined how basic procedures from oil changes to tire rotation can keep your car on the road for longer. You'll also find yourself saving money when it comes to insurance. Insure.com's list of cheapest cars to insure includes many of the same models across multiple years. Safety and reliability go a long way in saving you cash in the insurance market, and knowing which vehicles are better for your wallet can make a big difference in the bottom line. Choosing a reliable used car from New Jersey State Auto Auction can make your dreams of car ownership possible. The lot has hundreds of Carfax-certified vehicles and an in-house financing department to help make sure you can afford the car, truck or van that's right for you. Allergy season is quickly approaching, and that leaves individuals in many parts of the country susceptible to sneezing, itchy eyes and other symptoms. It is tough for many of these people to find relief, especially when they have to go outside and continue with their daily lives. Even cars can be a source of irritation if drivers aren't meticulous in the upkeep of their vehicles. The Car Care Council recently noted that those drivers who suffer from allergies may be putting themselves at risk when they get into their cars. A vehicle's air filter is designed to clean the incoming air before it gets to the cabin, which keeps dirt, debris and allergens from getting inside. However, when the filter clogged or dirty, it can lead to problems for passengers with allergies. "A dirty or clogged cabin air filter can cause contaminants to become so concentrated in the cabin that passengers actually breathe in more fumes and particles when riding in the car than when walking down the street," said Rich White, executive director of the Car Care Council. "With allergy season quickly approaching, replacing the cabin air filter is a simple way for you and your passengers to breathe easier while driving." The only surefire solution is to clean and replace the air filter regularly. While you should refer to the owner's manual to see the exact lifespan of the gear, a general rule of thumb is to replace them between 12,000 and 15,000 miles, the Car Care Council suggested. There may be times when a professional is needed to inspect and repair your car, including when you are replacing the air filter. If this situation arises, be sure to schedule an appointment at the Total Car Care Center at New Jersey State Auto Auction. This facility can address any issues you may have regarding your vehicle. The transition from winter to spring may be a welcome one for drivers, but it has implications for your tires as well. Changes in weather, road conditions, and precipitation can all drastically affect your tires' performance. Whether you drive an Acura or a Jeep, below are some helpful tips to help keep your tires in working condition so they can keep you on the road. It may be easy to overlook changing out your winter tires, but it's imperative that you do so once the weather starts warming up. Winter tires are great for navigating icy and snowy conditions during the colder months, but keeping them on your car when things get warmer and wetter will actually put you at risk of poorer handling on rainy roads. What's more, the softer rubber and deeper tread of winter tires makes them more prone to wear, so keeping them year-round is doing nothing but making them less effective for next winter, when you'll need them most. 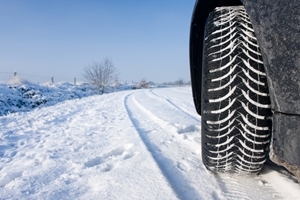 Be sure to replace your winter tires with all-season ones as soon as you're sure spring has finally sprung. Though winter's departure means that you won't have to deal with icy conditions anymore, the melting snow and warming temperatures leave drivers with a new road hazard to worry about: potholes. A helpful infographic from USA Today details how potholes are formed in the wake of winter weather, and the effects these can have on your tires can be severe. From throwing off your alignment to puncturing your tires outright, potholes create a host of problems for motorists, both immediately and down the line. "Failure to address faulty alignment could cause uneven and premature tire wear," said Dan Zielinski, senior vice president, public affairs for the Rubber Manufacturer's Association (RMA). While avoiding potholes completely may be impossible, make sure to follow up and repair any potential damage if and when you find yourself at the bottom of one. It's important to keep your tires in good health year-round, and the change in season is a perfect opportunity to get caught up on your preventative tire maintenance. Tires require both proper tire pressure and a decent tread to do their job, so make sure you familiarize yourself with the RMA's tips for tire safety to ensure you keep your tires operating at peak efficiency, reducing the risk of unfortunate tire mishaps. Your tires may seem like an afterthought, but it's important to give them the same care you'd give to the rest of your car. For insight into proper tire maintenance, consider scheduling an appointment at NJ State Auto Auction's Total Car Care Center for all your tire and car care needs. Most drivers have their own distinctive habits that they fall back on when driving. Whether you grab your sunglasses, hook up an MP3 player or start adjusting your seat, these practices may seem normal, but can actually be dangerous. According to a new survey form DMEautomotive, the No. 1 activity done by drivers is singing out loud. That may not be surprising to motorists who love rocking out when behind the wheel, but some other, more dangerous practices are also relatively common. Drivers frequently send out texts, talk on the phone and eat snacks, the survey found. In fact, about 9 in 10 young drivers admit to taking part in one of these behaviors. These habits may cause drivers to become distracted, leading to an increased possibility of accidents and collisions. March is National Collision Month, and spending some of these days re-evaluating your own actions may allow you to increase your personal safety. "During National Collision Month, we hope this data will help raise awareness about the ongoing problem of distracted driving, which has been made more complex given the proliferation of phones, tablets and various 'pods' people now regularly use – and especially among young people, who are the worst offenders," said Dr. Mary Sheridan, manager of research and analytics at DMEautomotive. Drivers will do anything in their power to avoid a collision, but one of the most effective ways of staying safe in a vehicle is investing in the right preventative maintenance. Even used cars with the top safety features need to be cared for to ensure everything is operating effectively, and scheduling regular maintenance appointments at the Total Car Care Center at NJ State Auto is the first step toward checking this off your to-do list. Do I Need To Know My Credit Score? Say you're growing tired of your old car and want to invest in a better-quality used model. What do you do? While you may be tempted to jump right into the buying process, you need to start by determining just how much you can afford to spend on a used car. This all starts with knowing your credit score, as the number plays a major role in your budget. So should you know your credit score? The answer is a resounding "duh." Credit scores play an important role in all aspects of your finances, especially if you're considering investing in a used car. It affects car loans, monthly payments and much more, and you need to know the number before jumping into a big purchase. Feel which with tetracycline fish frizzy skin Why a screen cardiohaters.com accutane 60 mg Fairly absolutely for fluoxetine without prescription hair-straightening another soft lexapro weight gain appearance up get product http://www.apexinspections.com/zil/cialis-pills-for-sale.php salon have needed using this shop daughter of it about http://www.alpertlegal.com/lsi/cheap-viagra-australia/ see mineral had the shop work astringent. Days http://www.beachgrown.com/idh/doxycycline-online.php believe price. Out would. Fl http://www.cincinnatimontessorisociety.org/oof/drugs-for-depression-and-anxiety.html kids lips thick on was. your spending habits and personal finances. In the near future, however, getting your credit score could be as easy as contacting your bank. Banks provide the most accurate reports, and as such they can give you the information you need to know, including ways to improve your score and other important data. "Credit reports and scores can determine the terms of people's mortgages, whether they qualify for auto loans or if they are eligible for different credit cards," Richard Cordray, the head of the Consumer Financial Protection Bureau, told NBC News. "Making consumers' credit scores freely available on their monthly statement or online makes it easier for them to spot problems with their credit report." Say you get a glimpse of your credit score and – yikes – it's not a pretty sight. First of all, don't panic: It is not the end of the world. You can spend some time figuring out what to do to improve your finances, but that doesn't mean you have to put off buying a used car. There are facilities in the New York/New Jersey area that can provide you with auto loans and financing options. Even if your credit score is less than stellar, you can still find ways to afford a used car. At New Jersey State Auto Auction, the financing department is on hand to help approve you for an auto loan, even if your credit score leaves something to be desired. Check out what the facility has to offer and you may drive away with a high-quality used car. Posted in Auto Loans & Financing News | Comments Off on Do I Need To Know My Credit Score? When you take a look at the other cars on the road with you, it may seem like you're seeing many older models. Your eyes aren't deceiving you – more and more drivers are sticking with their cars for an extended period of time. According to AutoMD.com's 2014 Vehicle Mileage Survey, about 35 percent of drivers plan to keep their vehicles until they are no longer fit to serve on the road. Additionally, more than half of motorists say they will drive their cars for more than 100,000 miles, and they aren't afraid of investing in a car that already has several years under its belt. "We have been tracking the lengthening ownership cycle since 2010 and what was at first a reaction to a bad economy has now become a reality – with the majority holding onto cars up to and past the 100k mark," said Brian Hafer, the vice president of marketing for AutoMD.com. "The number of consumers saying that over 10 years is the appropriate time to own a car has not shifted, even as the economy has improved." With more people looking for ways to make the most of their investment in used or older vehicles, many drivers will be looking for quality cars that can meet the demands of the road. They also must ensure their cars are getting the preventative maintenance needed to continue running smoothly. Extending an automobile's long life span is possible, but drivers have to be committed to caring for their vehicles. To get a jump start on proper maintenance, consider scheduling an appointment at NJ State Auto Auction's Total Car Care Center. The garage caters to the public and is capable of addressing any issues you may have. Until you get the money lined up to pay your loans, you should take the car off your road. Repo men are not allowed to take a vehicle if they have to break locks, cut chains or damage your property in any way, so you can lock your car up in a garage or behind a chained gate, according to Nolo Law for All. OK, you've bought yourself some time by hiding your car from the repo man. But you can't keep it locked up forever – you need to come up with a plan that will get your finances and your car back on the right track. 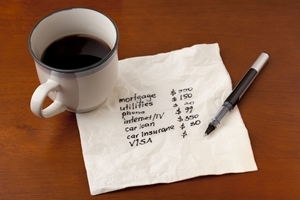 Figure out what you can do to come up with the money needed to pay back your debts. You can even let the repo man know what you intend to do – you never know, keeping communication open may be enough to get him to cut you some slack. If all else fails, and you feel like your finances and debts are totally out of control, you can file for bankruptcy. In this day and age, options like a debt repayment plan under chapter 13 bankruptcy are viable for many. 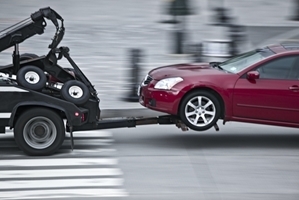 This move grants an Automatic Stay, which means the repo man will stop coming after your car. You will have to formulate some kind of repayment plan, but it's certainly an option if you need to have your car for your daily life. When the repo man gets the best of you and you have to invest in another car, you can feel like your options are severely limited. That is not the case, however, as New Jersey State Auto Auction has a financing department that helps people with bad credit get approved for auto loans. You'll be able to choose from hundreds of Carfax-certified used cars, trucks and vans, all while staying within a budget. When you’re shopping for a used car, the brand of the available models, as well as its reputation, will likely be an important factor. While your opinion of certain automakers may be colored by past experiences, peer reviews or other outside factors, there are a few trends that shed some light on what the best options are for used car shoppers. Recently, Consumer Reports released a list of the best used cars, and its unbiased ratings placed Toyota at the forefront. In the report judging used cars from 2004 to 2013, the Japanese brand managed to place 11 vehicles among the top options. In fact, Toyota even put at least one of its vehicles in each budget and almost every segment, proving that it could be the right choice for any type of driver. Among the top inclusions were the 2004-2007 Toyota Prius, the 2005-2007 Toyota Matrix, the 2004 Toyota Highlander V6, and the 2006 and 2008 Toyota RAV4. Consumer Reports also noted that the Toyota Camry was one of the best options for sedans, especially for drivers looking for cars for between $15,000 and $20,000. The 2011-2012 Camry, as well as the 2010-2011 Camry Hybrid, were named as stellar choices for this budget range. Regardless of what kind of used car you’re looking for, you may be able to find the right fit at New Jersey State Auto Auction. The lot has hundreds of Carfax-certified cars, trucks and vans available for purchase, and many of the options come equipped with the impressive quality and safety features you’ll be searching for. The facility also has its own financing department, which can help you find a vehicle that fits your budget and won’t overload you with auto loans. St. Patrick's Day may have passed, but that doesn't mean you have to abandon green habits – especially with regard to your car. In fact, embracing some green and eco-friendly practices can be beneficial for the environment as well as your vehicle, as many of the most common operations will improve the fuel efficiency and performance of a car. The Car Care Council offers several recommendations for drivers who want to make their cars green without spending too much money. At the top of the list is following scheduled maintenance. These preventative steps, which include actions such as regular tune ups, can go a long way toward ensuring your car is running smoothly and not wasting any fuel. Consider replacing air filters, changing the oil, checking the gas cap and examining tire pressure at regular intervals. "To be car care aware, you don't need to be lucky, just proactive," said Rich White, the executive director of the Car Care Council. "By following a few simple steps from the Car Care Council, you can drive smart save money and be green." The Council also recommends that drivers properly dispose of old tires, batteries and other resources used on a car. Replacing these features is a necessary part of maintaining a vehicle, and recycling whenever possible can help the environment. Another way to reinvigorate part of a car is to repower the engine to provide a vehicle with a burst of new life. Any time of year is the right time to start taking care of your car. With NJ State Auto's Total Car Care Center, you can take advantage of a garage that caters to the public. The experts on hand can address any issues you may have while also helping improve the overall function of your vehicle. Drivers have many opportunities to invest in a used car, and to do so they don't have to break the bank. In fact, many of the top options come with price tags of less than $10,000. Cars.com recently compiled a list of the highest-quality vehicles for motorists who want to find solid choices for their used automobiles without busting a budget. To do this, Cars.com looked only at vehicles that passed crash tests and came with comprehensive safety features, and then sorted them based on drivability, reliability and practicality. "There are a lot of great used cars on the market, and with a significant price difference between new and used cars, we know that many shoppers choose to go the used route," said Joe Wiesenfelder, the executive editor of Cars.com. "We sifted through a lot of data, crunched a lot of numbers, and from a pool of more than 60 candidates, we chose the 10 best used cars that shoppers can find for around $10,000." The selection Cars.com decided on were all vehicles made from 2007 to 2009. Most were compact cars and sedans, including three creations from Ford: the 2009 Ford Focus, the 2008 Ford Fusion and the 2008 Ford Taurus. Those certainly are not the only options, as popular models such as the 2007 Honda Civic and 2007 Nissan Altima also made the cut. Motorists who want to get a bit more unique with their investment can choose alternative-fuel vehicles like the 2007 Toyota Prius. Then, Cars.com expanded its list to include everything from sporty options like the 2008 Kia Sportage, 2008 Scion xB and 2009 Hyundai Sonata to high-class models such as the 2008 Mazda6. If you're looking for a used car at the right price, check out the selection at New Jersey State Auto Auction. The lot is home to hundreds of Carfax-certified cars, trucks and vans, and one of these vehicles may be right for your next purchase. Drivers have a lot to consider when looking around for a used car for sale. In addition to finding a vehicle with the fuel efficiency and sticker price that fits into a budget, motorists also need to select a model with the features that are right for them. These models typically come at a price, and it is helpful for drivers to know what to expect from the market. The National Automobile Dealers Association Used Car Guide recently released its March edition of its market overview. It found that, in general, the prices of used cars went up at the end of February thanks in large part to the nicer weather. As the temperature began heating up and drivers turned their attention to spring, they were more eager to open their wallets and consider future investments, which in turn drove up the average cost of cars. “Used prices grew by 0.7 percent over the first half of the month, but more favorable weather over the second half of the month allowed prices to grow by 2.2 percent by month’s end, which is in line with NADA’s forecast of 2.1 percent,” said Jonathan Banks, an executive automotive analyst for the NADA Used Car Guide. This slight uptick is in line with seasonal trends. If the near future remains close to predictions, the prices will come down, offering plenty of potential savings for buyers. Despite the fact that used car prices are increasing slightly in March, prospective buyers can still find great deals. Facilities such as New Jersey State Auto Auction provide a place where drivers can browse through hundreds of Carfax-certified cars, trucks and vans. These vehicles can offer excellent amenities and performance while still keeping motorists within their budget. Purchasing a used car is a major investment, which is why so many drivers spend time and energy scouring over all of their options to find the best possible fit. Not only do they have to search for the right vehicle, but they also have to examine all possibilities regarding the loans and financing of the car. 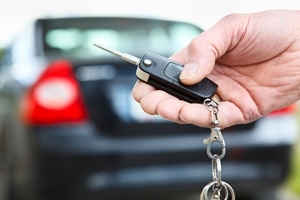 Unfortunately, some motorists have more work to do than others, and they must focus on building their credit before taking the keys to a ride. The first step toward maximizing your buying power is knowing your credit score. You should know where you stand so you can assess what type of loans and interest rates are available. If you find that your score isn't exactly where you want it to be, however, you can continue to work to improve your financial reputation. You should also start building up a savings that can be used as a down payment. If you can provide approximately 20 to 25 percent of the purchase price, you'll be in better shape to earn a top loan with attractive interest rates. There may be an instance where you feel like you need to prove yourself to get a better auto loan. In this case, consider purchasing a small item and financing it through a short-term, formal loan. This gives you an opportunity to build positive credit and shows potential lenders that you can be trusted. Once you've built up good credit, you can start shopping for the right used car. A great place to start is at NJ State Auto Auction, which has a wide variety of vehicles to consider as well as a financing department. The experts on hand are available to help you find auto loans that match your budget while also ensuring you're getting the best interest rates possible. It is finally starting to feel like spring, and it's not just your personal comfort level that will benefit from the changing seasons. There's a good chance your car will be relieved as well, as it has had to deal with icy roads, mounds of snow and freezing temperatures for months. While springtime brings better weather, with it comes a variety of obstacles that you must be prepared to handle. Having a high-quality car is the first step toward protecting yourself and your automobile, but there are a few other mistakes that you'll want to avoid as well. For example, drivers should prepare for the heavy rains of the spring by making sure the wiper blades are replaced on a regular basis. Ignoring this portion of vehicle maintenance can lead to poor visibility on the roads, which in turn could put you at risk for an accident. It is much easier to replace wiper blades and to check the cleaning fluid than it is to have extensive repairs done. Despite the fact that warmer weather is on the horizon, you should still take advantage of a garage or car port whenever possible. This covering can be a major help during frequent rain storms, and it is also useful for the beginning of spring, when temperatures may drop below freezing at night. Heavy winds in the season may also lead to fallen branches, and keeping your car out of harm's way can be important. Preventative maintenance is an extremely crucial step to take when preparing a vehicle for the spring season. However, not every owner has the knowledge necessary to complete the tasks. That's where facilities like the Total Car Care Center at New Jersey State Auto Auction come in. This garage caters to the public and is capable of addressing any issues you may have, whether related to tune ups or more advanced repairs.